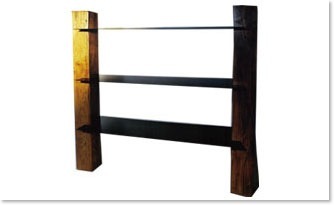 SH01 - A shelving unit made from reclaimed beams that uses blackened steel for the shelves. Each one of these units is made to order and the client can specify all the dimensions and the wood type. 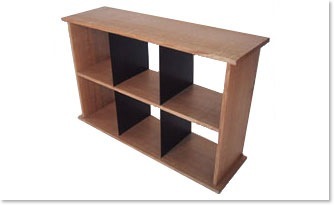 SH02 - These shelving units were the first furniture design we made and have been a popular design for over ten years. The customer can specify all the dimensions and the wood type. There are many different permutations available. The shelving shown is made from oak with blackened steel shelves. SH03 - This design was done for an electric fire although it would work equally well with a flat screen television. 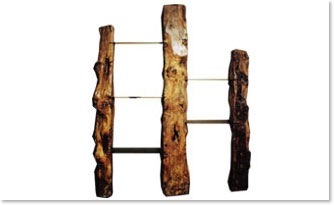 We have a good selection of genuine old oak beams that have a wonderful patina of age. SH04 -A unit made from solid oak and blackened steel which is available in a variety of wood types, sizes and configurations. 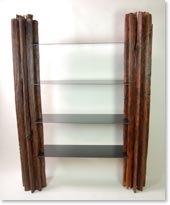 SH05 - 'Star' shelving unit. 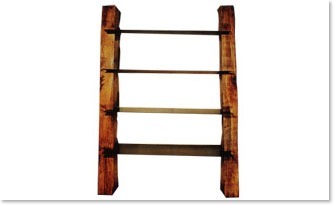 The supports for the shelving are made from timbers that have been reclaimed from old paddy field sluice systems and the shelves are made from steel. These units can be made in a number of styles and styles including the use of glass shelves in place of the steel.